HydraMaster Direct Drive Truckmounts – Are they the right fit for your business? Safe and secure quieter operation. Ability to close doors during operation. Protects internal contents from weather exposure. Quiet operation allows for nighttime commercial cleaning and restoration work. Smallest footprint in the industry. Compact, space saving design allows for flexibility in van set up. 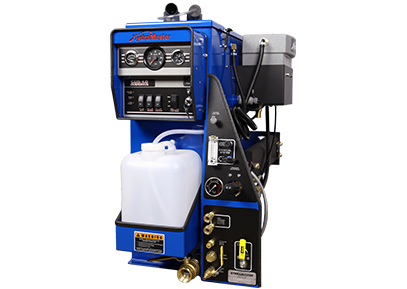 Perfect for hauling restoration equipment (airmovers, dehumidifiers, directed heat), power wands, RX20, rotary hard surface tools, chemical solutions, hauling rugs and furniture and more. Lower maintenance and ease of serviceability reduces costs and downtime . Open design for easy access to internal components, centrally located, protected wiring box, easy access to all drain hoses, stainless steel fittings on solution hoses with swivel on both ends . THE CDS xDRIVE has “arms-length” access and serviceability to all major components. Reliable, durable, and dependable. Industry’s longest proven track record of performance and success. 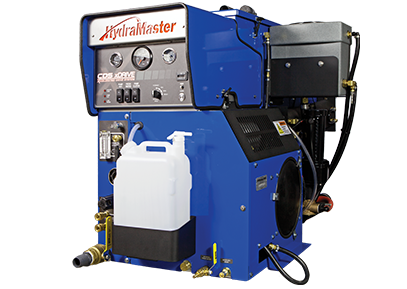 Simple to operate and easy to train technicians make the HydraMaster CDS or CDS xDRIVE the perfect choice for fleet operations and less mechanically inclined owner/operators. Excellent warranty coverage with superior customer support and service through national distribution network and corporate customer care team. Value – maximum return on investment and highest re-sale value in the industry. Flexible and powerful performance allows for many uses. A perfect cleaning machine and ideal for flood and water damage restoration work, pressure washing, hard surface cleaning and more. HydraMaster longevity and reputation. We will be here for years to come to support you.